Finally, Linux embeds in many devices as firmware. This includes DVR devices, network routers, industrial automation controls, televisions, video game consoles, smartwatches and many tablets. Linux is the most prominent example of code collaboration. The Linux source code is free for use, modification and distribution. As a result, there are multiple distributions of Linux available. Android is by far the most popular Linux distributions. 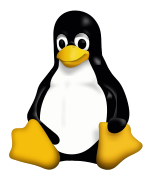 Other branches of Linux include openSUSE (4%), ArchLinux (1%), Gentoo and Slackware. Debian was one of the earliest OS based on the Linux kernel. 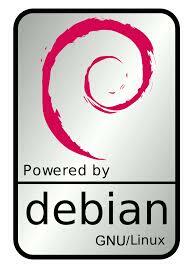 The Debian Project is an association of individuals who have made common cause to create a free operating system. Also, Debian provides more than a pure OS: it has access to online repositories that contain over 51,000 software package, one of the largest software collections in the world. At the same time, Debian offers the Advanced Package Tool (APT). APT is the Debian program for interfacing with software repositories, installation and maintenance. APT stands out as the best feature of Debian. Hence, it is core to many Linux distributions based on Debian. Debian is the foundation of the Ubuntu OS. The two systems develop in parallel. However, the two are also distinct. For starters, Ubuntu is not a pure open-source project. It depends on sponsorship from Canonical Corp. Canonical sponsorship has helped Ubuntu immensely. For example, Ubuntu is the most user-friendly version of Linux. As a result, Ubuntu is the the third most popular PC OS after Windows and OSX. Ubuntu’s popularity is also due in part to its adaption among software developers. First, Ubuntu is the preferred OS for emerging data science technologies, including artificial intelligence (AI) and machine learning (ML). Moreover, Ubuntu offers a consistent OS across platforms. For example, Ubuntu enables work on desktops, servers, in the cloud and on IoT devices. Meanwhile, Canonical certifies the use of Ubunutu on a wide variety of desktop platforms. Certification has been essential to adoption in the enterprise, government and education sectors. Also, certification and alignment covers the entire hardware stack of devices (audio, bluetooth, display adaptors, Firewire, etc). Ubuntu also offers long-term service support. LTS support covers bug fixes, security updates, and hardware comparability. Consequently, return on investment endures absent significant disruption. At present, Ubuntu (17.10 and onwards) comes with the GNOME desktop environment. Older versions use the Unity desktop.